Don’t worry, our sun is not dead! So why did the well-known Dutch solar astronomer Kees de Jager remark in an interview, November 2009, that the sun was dead? Well, he was talking about the sunspot activity of the sun. Or rather, the lack of sunspot activity! Sunspots are a result of magnetic activity on the sun. The number of sunspots fluctuates in time with a period of roughly 11 years. See the graph below. It is clear that it is a periodic phenomenon, but also that it is quite irregular. The cycles are numbered from the time accurate observations became available, around 1750. Cycle 23 started in 1996, reached its maximum around 2002, ending in 2007. At about that time, 2007-2008 the new cycle 24 was expected to start. 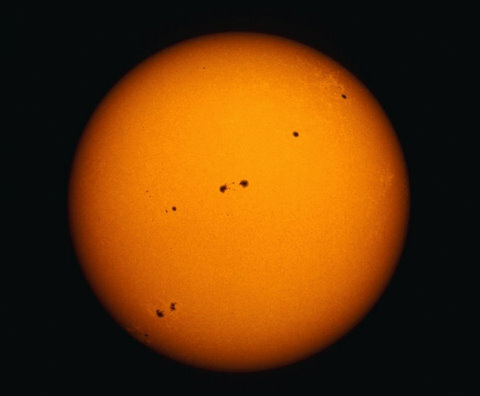 During 2008 and 2009 the sun was surprisingly quiet, with long periods without any sunspots at all. Therefore astronomers all over the world were watching the sun with more than usual interest. A special website http://solarcycle24.com/ is monitoring daily the behaviour of the sun. Here is a detailed graph, updated until February 2010. The red curve is the expected one. As you see, 2008 and 2009 have been very quiet, with the average sunspot number almost approaching zero. BUT, starting from December 2009 it looks like we have the beginning of cycle 24! Finally. Is this topic only of academic interest? There may be a relation between the solar activity and the temperature of Earth. Here is one more graph of the solar sunspot activity, this time over a time period of 400 years. In 1610 sunspots were observed for the first time with the newly invented telescope. The red crosses represent these early observations. They are less accurate, but nevertheless it is obvious that in the second half of the 17th century there were hardly any sunspots at all. This dip in solar activity is called the Maunder Minimum. There is an ongoing debate if there is a causal connection. 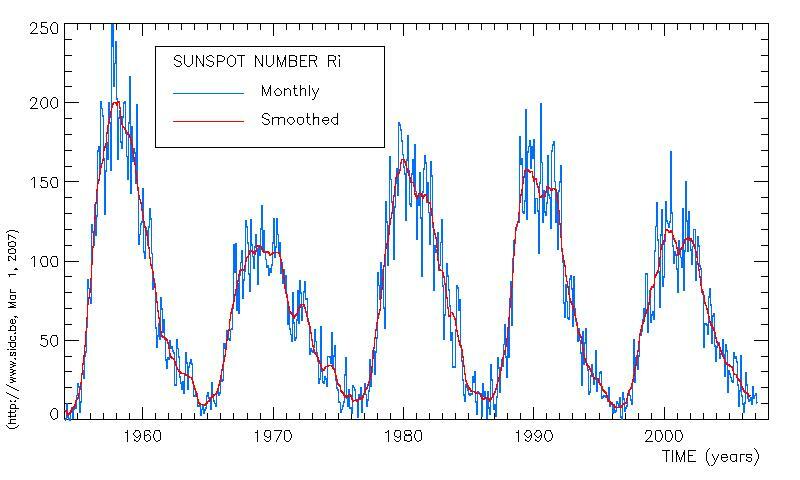 The last 50 years there has been a maximum in sunspot activity. Could it be that this increased activity has been another factor in the global warming, besides carbon emission?